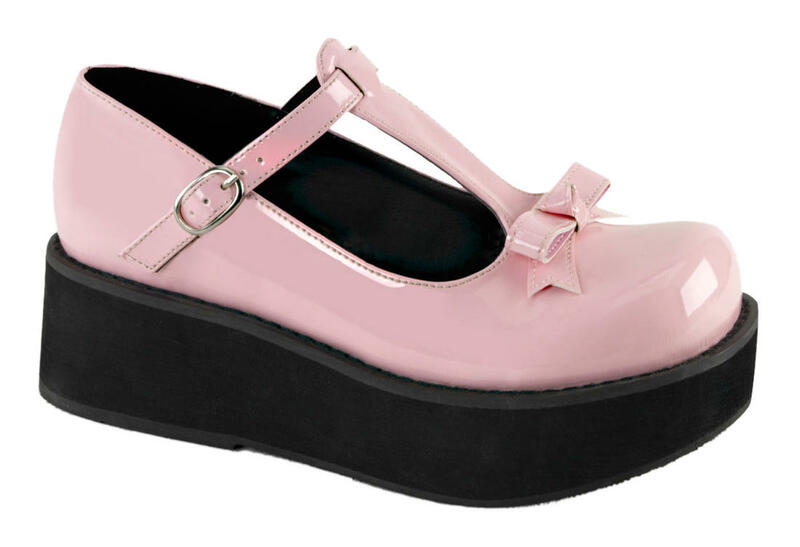 Baby pink patent mary jane style shoes with 2 1/4 inch platform. Adjustable T strap with bow and vamp and side buckle detail. Imported.